The Information Commissioner's Office is rolling out a long-term campaign to improve public trust and confidence in the new General Data Protection Regulations (GDPR). The Your Data Matters public awareness campaign follows research in August 2017 showing that on average only one in five people in the UK have trust and confidence in companies and organisations using their personal data. Regulated by the Information Commissioner’s Office (ICO), the new law, which came into force on 25 May 2018, gives people more control about how their data is used, shared and stored and requires organisations to be more accountable and transparent about how they use it. The Your Data Matters campaign will help people understand how they can exercise their rights around their data, through a series of publicity materials available online at ico.org.uk/your-data-matters. These include materials specifically designed for use on Twitter, Facebook and LinkedIn as well as booklets, logos and posters in English and Welsh. 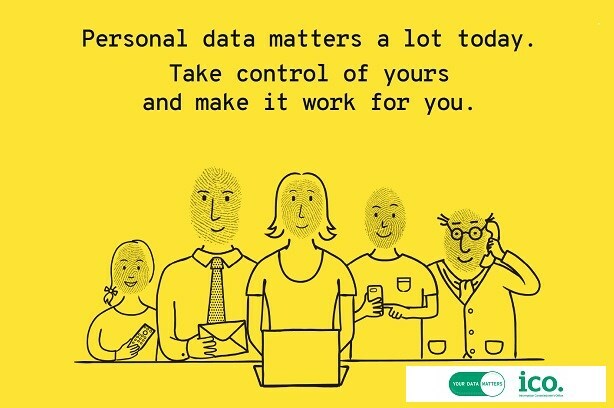 Aiming to help people understand why their data matters and how they can take back control, the Your Data Matters campaign is being shared through channels including social media, and may include paid-for channels too. A new, dedicated @YourDataMatters Twitter account – which launched on 17 May and now has around 1,500 followers – is being supported by regular retweets from the ICO’s general @ICONews account, which has around 65,000 followers. Content includes GIFs, mini films and links to useful resources and tips on data safety on social media and apps, as well as managing marketing preferences. Films including an illustrated information video, and those aimed at the public and businesses featuring information commissioner Elizabeth Denham, are available on YouTube and Vimeo. The aim is to ease the burden on organisations having to create their own GDPR materials, while ensuring a coherent message is communicated. Robert Parker, head of comms at ICO, told PRWeek: "ICO has two main communications objectives when looking to publicise the enforcement action we take against organisations. "One is a direct encouragement to leaders, across sectors and businesses of all kinds, to properly look after the personal data they are trusted with, as the alternative is damaging headlines, reputational damage and customers going elsewhere. "The other objective of publicising the action we take, including fines, and where we will use the ‘Your Data Matters’ campaign collateral, is to reassure the public that there is an effective personal data regulator out there. "A committed and determined personal data regulator who has their back and will take strong action against organisations who break personal data laws and demonstrate they cannot be trusted to look after personal data properly." Public awareness has been a challenge for the ICO, which has conducted tracking surveys on data rights since 1985 and found even the most well-known right – the subject access request – only attracts 20 per cent awareness among the public. Parker added the campaign would be evaluated against specific benchmarks and objectives. The campaign is expected to run for several years and public awareness-raising activities are planned around nuisance marketing, cyber crime, big data, AI and children’s data. It follows the ICO's work over the past two years in helping organisations prepare for the new law by producing guidance and targeted online resources, holding and speaking at dozens of events and setting up a dedicated helpline for small businesses.